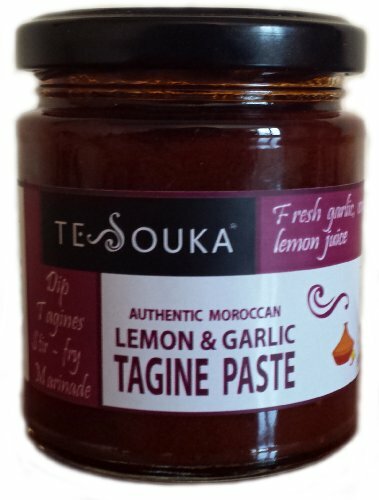 Authentic tagine paste, a delicious garlic lemony flavour with a tang of spice. Add to tagines to give authenticity. Easy tagine: Fry meat, stir in paste, add preserved lemons, harissa to taste and a drop of argan oil if desired. Couscous: Stir in, job done.